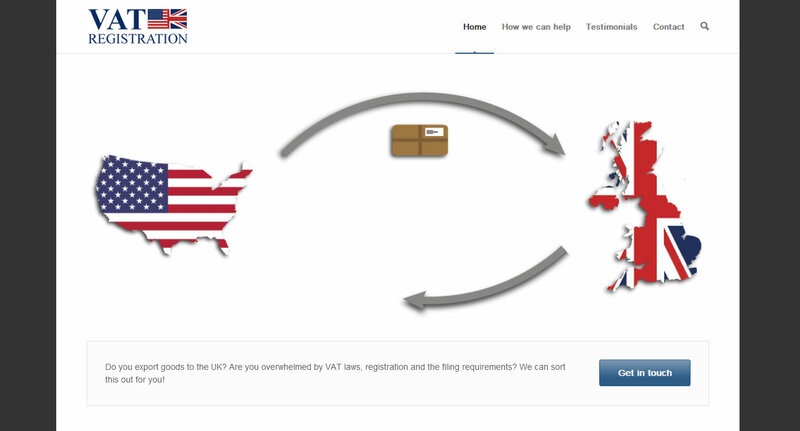 A fully responsive site, vatregistration.net targets US-based sellers who dispatch their products to customers in the UK. 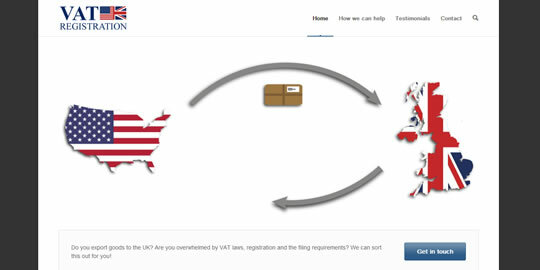 The site includes a mobile-friendly homepage animation and was live after just 2 weeks of development. Working with Chris has been an absolute pleasure. Before we were unenthusiastic about dealing with web designers as we had never worked with anyone who could speak to us on our level and truly understand our needs. Chris has changed that for us, now we have a mobile-friendly site and animation that look absolutely fantastic and have far exceeded our expectations.